New art work and sleeper couch installed, with a new coffee table and new pillows. two double beds and new bed scarves. 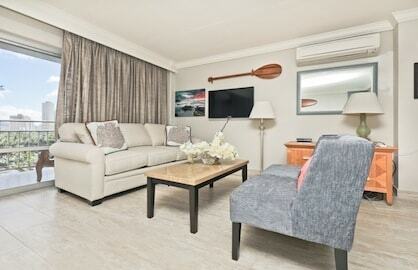 The spacious living area has a sofa bed, large flat screen TV. 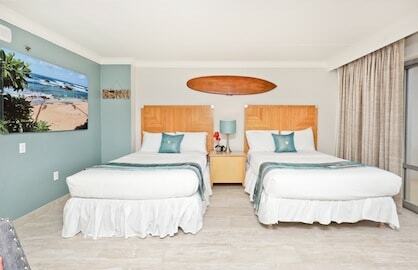 The bed area has two comfy double beds to relax and sleep away hards days at the beach or exploring the island. 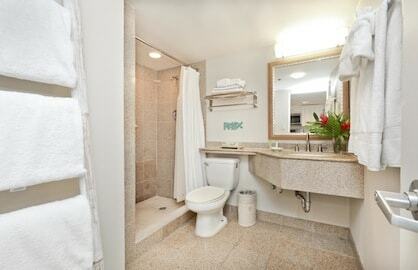 The bathroom is all granite and has a walk in shower. 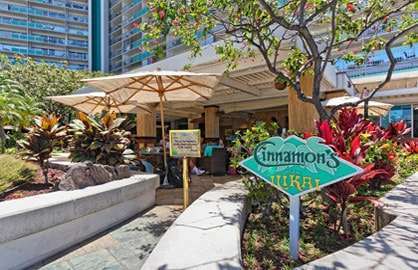 Ilikai 807 - We had the best time staying here. The decor was so pretty and the unit was very clean. 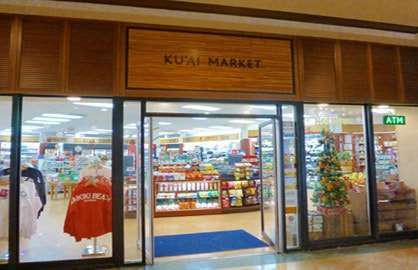 It's very centrally located so you could easily walk to the Waikiki strip, Ala Moana Mall and the many restaurants/shops in the area. 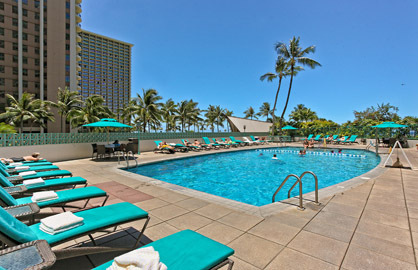 We would definitely stay here again for our next trip to Honolulu. 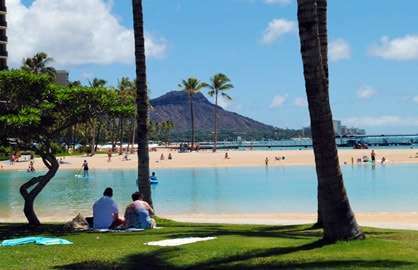 Ilikai 807 - Mahalo Hawaii, we had an amazing holiday and we will definitely be back. 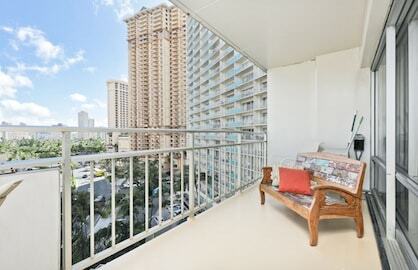 We highly recommend the Ilikai condo's for your stay. Our condo was great, had everything we needed for 2 adults and 1 child aged 11. 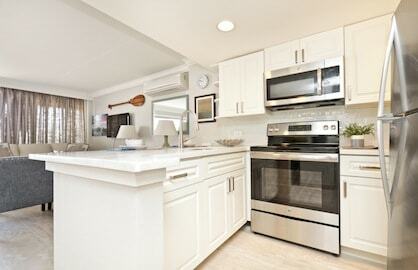 Very clean/ tidy, plenty of cooking utensils, coffee machine, towels etc. 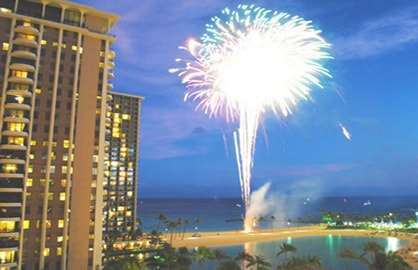 We did hear street noise, but after a couple of days got use to it and was not a problem.We were within walking distance to the Ala Moana shopping centre which is huge, the lagoon which has many activities for children and adults and the beach., fireworks displays which were awesome to watch.. There is so much going on in this area so for us this the perfect place to stay. Looking forward to coming back. Adrienne, Dean and Nicole. NZ. 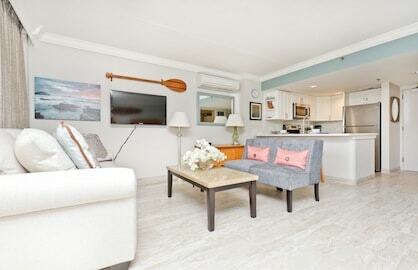 Ilikai 807 - Great place to stay! Everything is close and easy access! 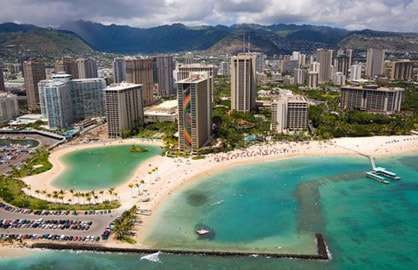 I always stay here...love Hawaii.. Mahalo. 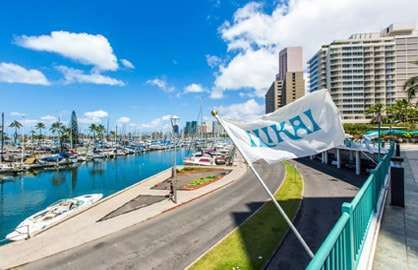 Ilikai 807 - My family and I stayed in this unit in December 2015 and we loved the location and unit. Our family was able to watch the Honolulu marathon from the Lani . Also sitting out on the lani relaxing looking at the city lights was great and peaceful. 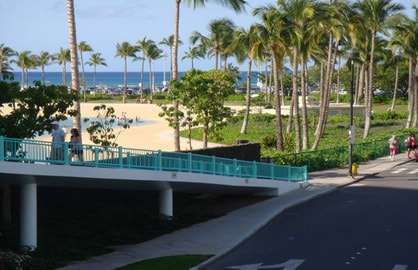 The walk to beach was just outside the Hotel. 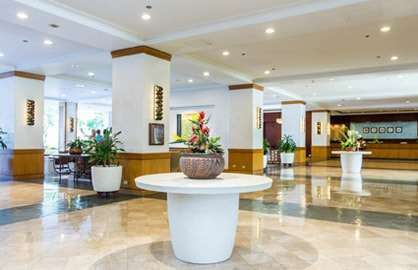 The unit was very Clean and nicely furnished. 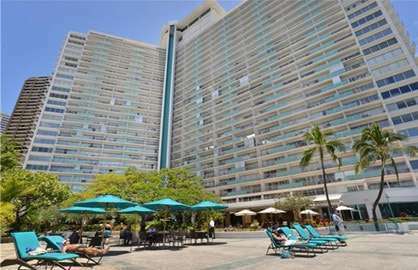 We loved it so much we decided to come back again and stay this same unit in December 2016 but unfortunately we had a death in our family we had to postpone our vacation. Wailkikibeachrentals.com was nice enough to book our stay for this year. They were so quick to book and answer all my emails within hours. I highly recommend staying in this beautiful clean family unit. 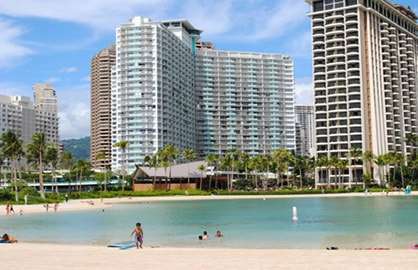 We just stayed in Ilikai unit 807 and enjoyed it very much. 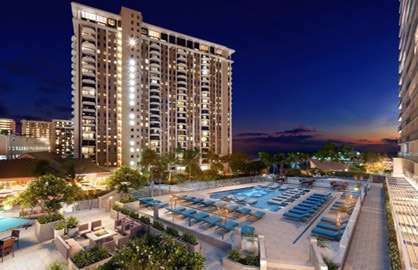 The condo had everything we needed and we were very happy with the convenience. 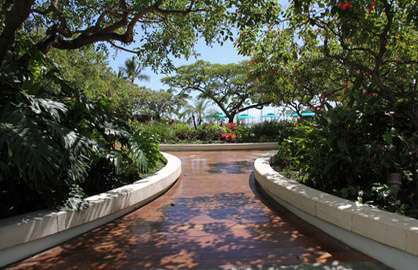 It has a great access to the beach and great walking distance to the Ala Moana Shopping Center. The condo was very clean. 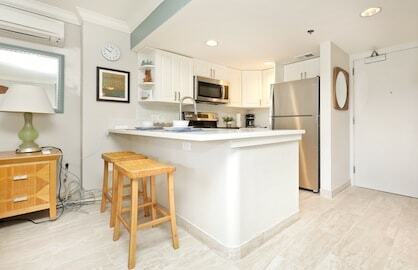 We would definitely stay in this condo if we were to visit Hawai'i again. Thank you for the effort you put into making this such a comfortable condo. 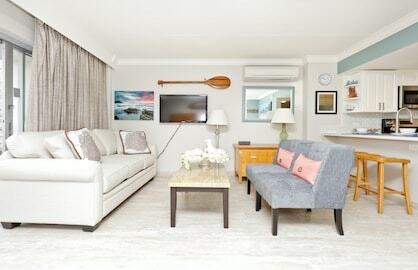 Ilikai 807 - What a great apartment! Plenty of room for 2. Lots of towels. 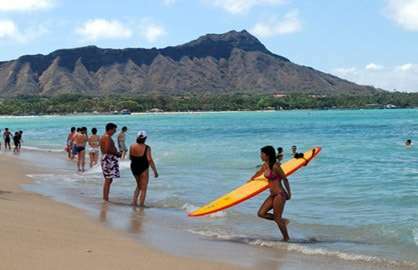 Exceeded our expectations, and the Ilikai is in a great location. My only complaint is the pillows. There were too thin and either need replacing with fatter pillows or a few more of the the same. Would definitely come back again and recommend this apartment. 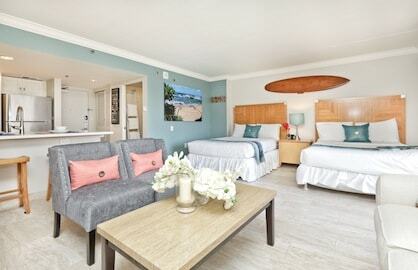 Enjoyed our stay in Honolulu and our suite 807 in the Ilikai. 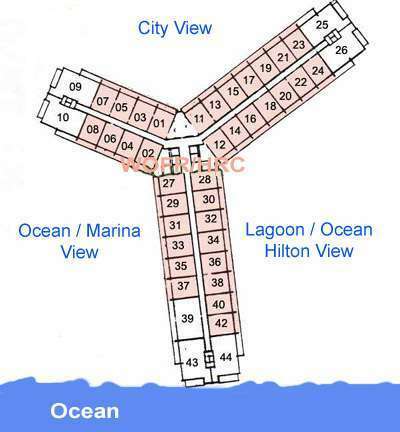 The condo faces the street which is very noisy but it is nicely furnished, clean and well equipped. 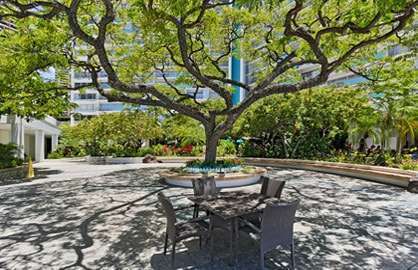 the complex is centrally located with easy access to Waikiki Beach & to the Ala Moana Park & shopping centre. 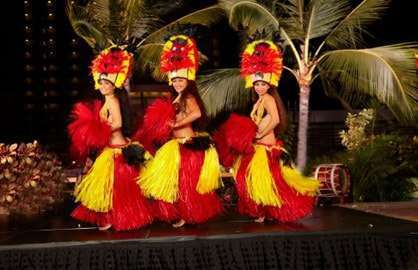 We will definitely stay there again on our next trip to Hawaii.